Dhaka, 14 August, Abnews: The nation is set to observe tomorrow the National Mourning Day recalling with a heavy heart Father of the Nation Bangabandhu Sheikh Mujibur Rahman on the 43rd anniversary of his martyrdom. The killing of Bangabandhu and most of his family members on the fateful night of August 15, 1975 is the ugliest chapter of the nation’s history. The self-confessed killers of August 15 did not assassinate Bangabandhu alone, but also killed 16 other members of his family, friends and relatives. They include his wife Begum Fazilatunnesa Mujib, sons Sheikh Kamal, Sheikh Jamal and Sheikh Russell, daughters-in-law Sultana Kamal and Rosy Jamal, brother Sheikh Naser, brother-in-law Abdur Rab Serniabat, nephew and eminent journalist Sheikh Fazlul Huq Moni, his pregnant wife Arzoo Moni and Colonel Jamil. The killing of Bangabandhu, the greatest son of the soil in thousand years, descended a pall of gloom and spread a sense of deep sadness among the people in the country and across the globe. The world protested and condemned the killing saying it is an irreparable loss to millions of people of Bangladesh. Like previous years, the government, Awami League and different political and socio-cultural organisations, educational institutions and professional groups chalked out elaborate programmes to pay the utmost respect to the greatest son of the soil on the day of his martyrdom. The nation, however, started observing the month of mourning from August 1, recalling the most brutal killing in its history and renewing the pledge to safeguard perpetually the country’s independence and sovereignty. The government drew elaborate programmes to observe the Day with due respect and solemnity. As part of the programme the national flag will fly half-mast atop the offices of all government, semi-government and autonomous bodies and educational institutions on the day. In the morning, President M Abdul Hamid and Prime Minister Sheikh Hasina will place wreaths at the portrait of Father of the Nation Bangabandhu Sheikh Mujibur Rahman at Bangabandhu Museum in the capital city at 6.30am. A smartly turned out contingent of the Armed Forces will give a guard of honour to the portrait of the Bangabandhu. A special munajat and fateha also will be offered there. Later in the morning, Sheikh Hasina will place wreaths and offer fateha at the Banani graveyard for the family members of the father of the nation and others, who embraced martyrdom with Bangabandhu on August 15, 1975. Following the president and the prime minister and other dignitaries, people from all walks of life with wearing black badges will throng the Bangabandhu Memorial Museum to pay their profound homage to Father of the Nation by placing wreaths at his portrait there. In the morning, prime minister will also place wreath at the mazar of Bangabandhu Sheikh Mujibur Rahman at Tungipara in Gopalganj. Fateha will be offered and the armed forces will again stage a guard of honour there. A special milad mahfil and dua will be held there on the day. In line with the national programme, different ministries and departments, directorates and agencies will organise various programmes at their respective institutions. Similarly, all city corporations, district councils, municipalities and union councils will organise different programmes to observe the day with due respect and solemnity. Bangladesh missions abroad will arrange discussions with hoisting the national flag half-mast atop their respective offices. Bangladesh Betar, Bangladesh Television, private TV channels and radio stations will take special programmes in observance of the National Mourning Day. National and regional newspapers will bring out special supplements on the occasion. Besides, specially designed posters will be displayed at educational institutions and other public places, reminding the black chapter of the country’s history. Shishu Academy, Bangabandhu Memorial Museum and many other educational institutions will organise discussions on Bangabandhu’s life and works. The district and upazila administrations will observe the day through doa mahfil and discussions in line with the national programmes. Different institutions, socio-cultural organisations and people from all walks of life will place wreaths at Tungipara and at the portrait of Bangabandhu at Road no-32, Dhanmondi, and will hold doa mahfils and discussions there. The different organisations and directorates under the Information Ministry will also hold different programmes, including exhibition, publish special supplements of Nirikkha, Sachithra Bangladesh and Bangladesh Quarterly. Bangladesh Television has taken initiatives to read out the Bangabandhu’s books – “Osomapto Atmajibani” and “Karagarer Rojnamcha”. Awami League (AL) will keep the national flag and the party flag at half-mast while black flag will be hoisted at the Bangabandhu Bhaban and all other offices of the party across the country. AL and it associate bodies will place wreaths at the portrait of Bangabandhu at Dhanmondi 32 in the morning. Leaders, workers and supporters of AL and other organisations will also pay homage to the martyrs of 1975 at the Banani graveyard, offer Fateha and munajat there on August 15. AL will distribute special foods among the poor, destitute and orphanages. The party will hold milad mahfil and offer doa at Bangabandhu Bhaban after Asr prayers on August 15. It will organize a discussion meeting at Bangabandhu International Conference Centre (BICC) at 4 pm on August 16. A delegation of the Awami League central executive committee will visit the shrine of Bangabandhu in Tungipara on August 15. Shishu Academy, Bangabandhu Memorial Museum and many other educational institutions and organisations will organize discussions on Bangabandhu’s life and works. 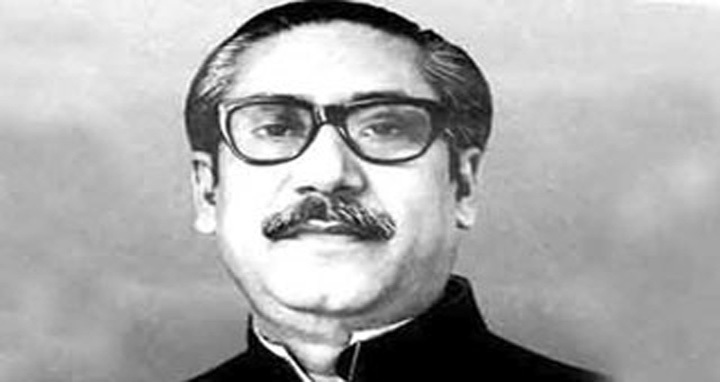 On the day of national mourning, special prayers will be offered at all mosques across the country seeking eternal peace of the departed souls of Bangabandhu and his deceased family members. Besides, special prayers will also be offered at all temples and places of worships of other religions.